All YMAC offices will be closed over the Christmas period. The South Hedland Office is now closed until the 5 January. Offices in Geraldton and Perth will be closed from 24 December and will reopen on 5 January. We hope you enjoy your Christmas break and look forward to seeing you in the new year. 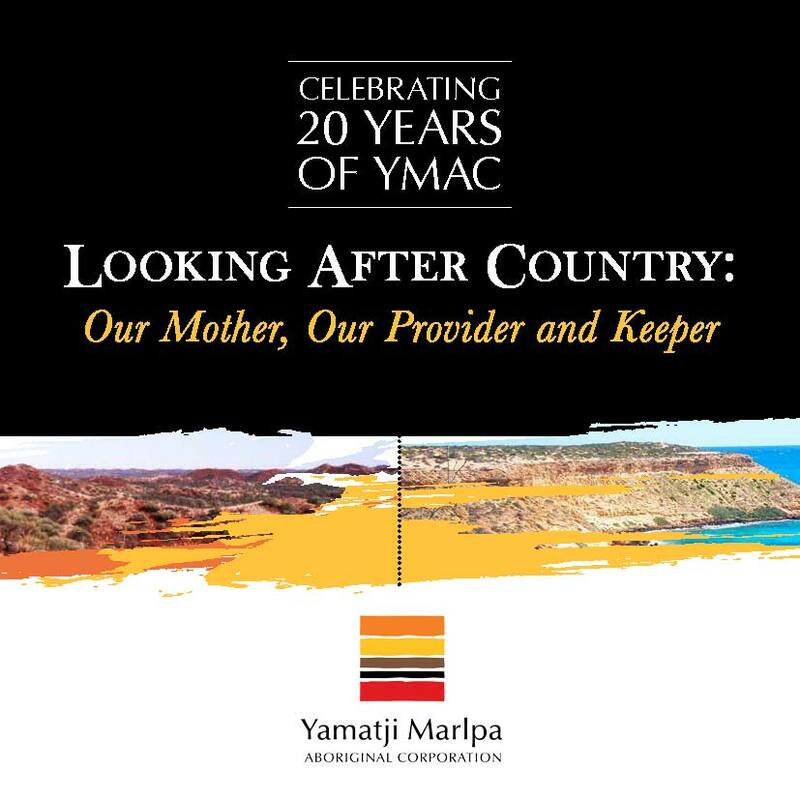 December marks 20 years since YMAC became a representative body under the Native Title Act. In celebration of this milestone the Board of Directors is proud to announce a new publication Looking After Country: Our Mother, Our Provider and Keeper. The book, which is rich with photos and interviews, provides an important record of the achievements of the organisation and the Traditional Owners of the the Murchison, Gascoyne and Pilbara regions of Western Australia. YMAC Co-Chairperson Mrs Doris Eaton said the book is a retrospective on the organisation, how it has grown, and what it has achieved. Click here to view the book on the web or email editor@ymac.org.au to request a hard copy. YMAC’s Annual Regional Meetings were held in November in South Hedland and Shark Bay. Annual Regional Meetings provide an opportunity for YMAC members to meet with their Regional Committee and members of the Executive Management Team and discuss YMAC’s operations and achievements of the past year. It is also the forum for elections to the Yamatji regional Committee. Newly elected members of the Yamatji Regional Committee are Darren Capewell, Dion Harris, Rachel Mongoo and Rhodda Capewell, while Victor Mourambine, Rodney Ryan and Susan Oakley were re-elected to Committee positions. They join existing members Ben Roberts as Chair, Peter Windie as Deputy Chair, Paul Baron, Cecily Dowden, Davina Mourambine, Deborah Oakley and Karla Tittums, whose terms continue until the 2015 ARM. Directly following the Yamatji Annual Regional Meeting the Yamatji Regional Committee met to elect representatives to the Board of Directors. Ben Roberts, Cecily Dowden, Deborah Oakley and Richard Oakley were elected to join the Board along with existing members Peter Windie and Paul Baron. For more information on our Board and Committees see our Who We Are page. YMAC Co-Chairperson Doris Eaton and CEO Simon Hawkins spoke to ABC Mornings regarding the changes to the Aboriginal Heritage Act and the introduction of the amendment bill to parliament on 27 November 2014. Listen the the interview below. For more information on changes to the Aboriginal Heritage Act click here.